While gold bullion may be losing its luster in investors’ eyes, palladium and the related exchange traded fund have shined this year and are among the best performing commodities year-to-date. The ETFS Physical Palladium Shares (NYSEArca: PALL), which tracks palladium price movements, has gained 27.2% as palladium surged to $860 per ounce from $709 per ounce at the start of the year. 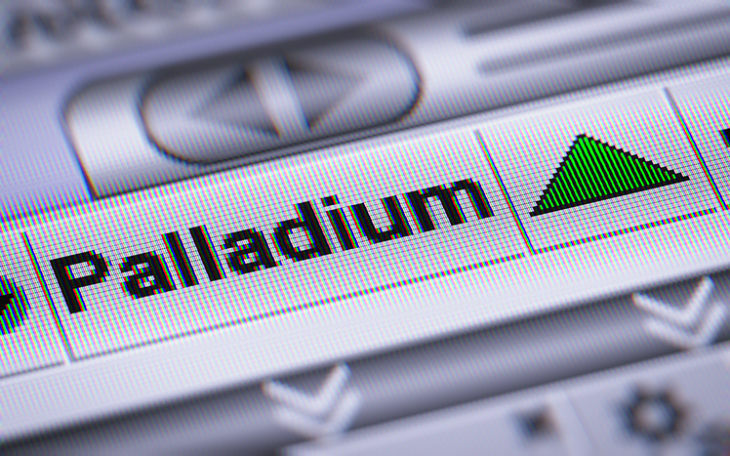 “Given the strong run-up and palladium’s historical volatility, short-term price risk remains elevated, but given the supportive market balance, palladium’s outlook remains favorable over the medium term,” Maxwell Gold, Director of Investment Strategy at ETF Securities, said in a research note. Unlike other precious metals that see steady demand from jewelry and safe-haven investments, palladium has surged this year on increased industrial demand. Palladium is a component of automobile catalytic converters, or auto catalysts, an emissions control device that converts toxic gases and pollutants in exhaust gas to less toxic pollutants. Gold argued that as more global consumers, especially a growing middle-class in developing countries, purchase gasoline cars, demand will increase for palladium-based catalytic converters. For example, China, India and other emerging countries will become key growth areas as emissions standards tighten, especially as these countries become more industrialized and realize the hazards of pollution along with the rapid growth.